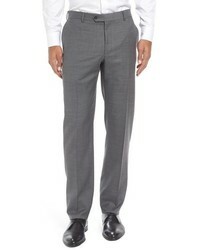 Team a Pal Zileri grey wool suit with a white dress shirt for incredibly stylish attire. 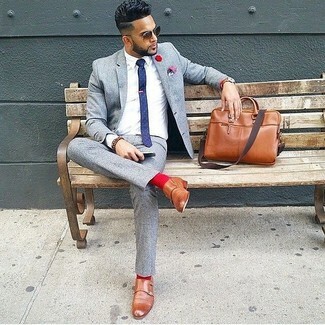 For something more on the daring side to finish off this ensemble, throw in a pair of brown leather double monks. For a nothing less than incredibly stylish getup, rock a Pal Zileri Classic Fit Solid Wool Suit from Nordstrom with a black overcoat. A pair of black leather chelsea boots ads edginess to a classic style. 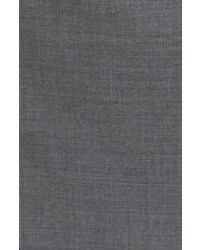 For a nothing less than incredibly stylish look, try pairing a Pal Zileri grey wool suit with a navy overcoat. Dark brown leather casual boots will deliver a more relaxed feel to your ensemble. So as you can see, looking dapper doesn't require that much effort. 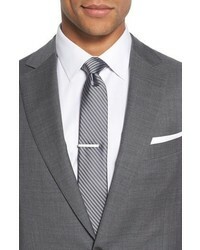 Just consider wearing a grey wool suit and a black and white horizontal striped crew-neck t-shirt and you'll look nice. Make your look more fun by rounding off with white low top sneakers. 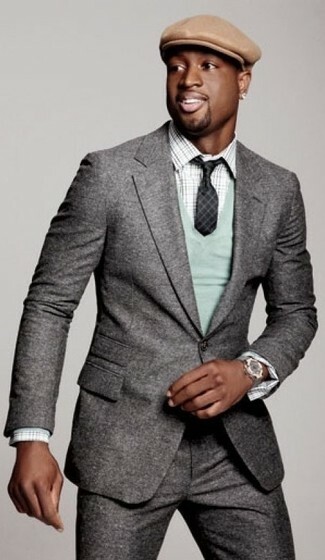 Marry a grey wool suit with a mint v-neck sweater to ooze class and sophistication. 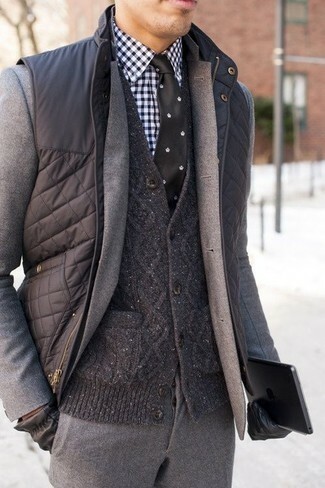 Consider pairing a grey wool suit with a charcoal quilted gilet for a sharp classy look. 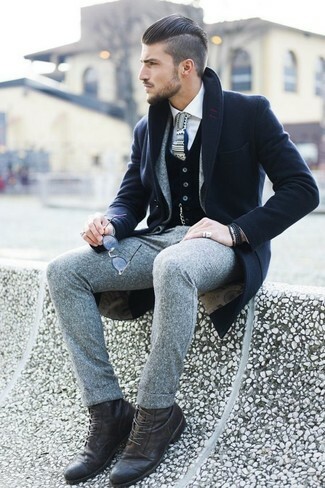 A grey wool suit and a grey plaid waistcoat is a greatcombo for you to try. Make dark brown leather double monks your footwear choice to make the ensemble more current. 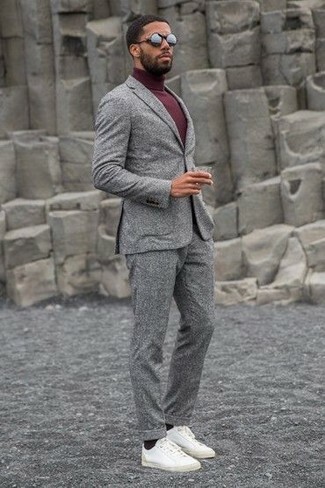 Consider wearing a Pal Zileri Classic Fit Solid Wool Suit and a burgundy turtleneck for a sharp, fashionable look. Take your getup into a sportier direction with white leather low top sneakers. 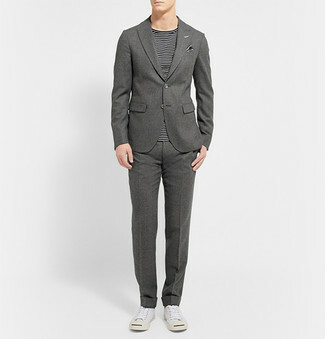 For a nothing less than incredibly stylish ensemble, try teaming a grey wool suit with a black dress shirt. Rock a pair of black leather derby shoes to make the outfit more current.